Today we will be releasing our heavily anticipated Kik Hack to the public. 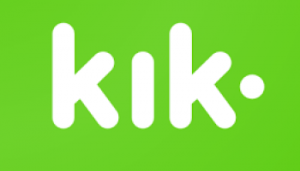 Our Kik Hack will allow you to hack any Kik Account within a matter of seconds. It functions similarly to our Snapchat Hack which we released earlier today. With our Hack for Kik you can view all sent and received messages, including sent photos and videos from any Kik account. Furthermore, you will be able to hack the password of any Kik Account. If you’re ready to start hacking a Kik account right away, feel free to click the button below. Once you click it you will be brought to our online hacking platform. If you want to learn more about our hack then keep reading. Kik is a very popular instant messaging app. It has over 100 million installs on Android alone, and the iOS number is probably similar. With so many people using Kik it’s no wonder that there is a high demand for a working Kik Hack. We’ve tried to find a working hack for Kik, but to no avail. That’s the reason why we decided to start development on our very own Kik Hack. When we started working on our Kik Hack we had several features in mind. We wanted user friendliness to be a central part of our Kik Hack. It is our goal to make it so simple to use, that it is accessible for everyone. That’s why we decided to make our Hack for Kik web based. What this means is that all the hacking happens on our servers. This means that you only need to enter the Kik username on our online hacking platform and the rest will happen behind the scenes. It also means that you do not have to mess around with annoying download and installation procedures. The fact that our hack is web based makes it very easy to use. In fact, it’s so simple to use that almost anyone can use it. However, if you do run into problems, feel free to let us know in a comment and we’ll help you out. Another feature of our hack for Kik is that you do not need access to the target’s device in order to start hacking. All you need is their username. Unlike our competitors, you can use our hack remotely. That means that you do not need to install any software to the target’s device. This makes our hack for Kik immensely powerful. We have tested the features of our Kik Hacking Tool extensively before releasing it to the public, and we can guarantee that they work. Our beta testing team has reported all the bugs they found to us, and they have all been fixed. Our hack is also very fast. It only takes an average of 10 seconds to hack an account with our website. Our Kik Hack allows you to hack the password of any account, but that’s not all. You can also use the spy feature and spy on all their sent & received messages. This feature was very hard to develop, but after a putting in a lot of effort we made it work. Will I be anonymous when hacking an account? Yep, you’ll be completely anonymous. All of the tools we release on our website offer complete anonymity. We achieve this anonymity by routing all incoming web traffic through several proxy servers and virtual private networks. Moreover, our site has SSL installed, which encrypts all your traffic. You can use our hack for Kik with complete peace of mind. Not only that, but we also do not keep any logs of who uses our Kik Account Hacker. If you’re ready to start hacking simply press the button below or above. You will be brought to our online Kik Hacking Platform. There you can enter the username of the account you want to hack. You should be able to figure out on your own how it works, because it’s very intuitive. However, if you can’t figure it out, do not hesitate to leave a comment. We’re always willing to help people out. Thank you for sharing this hack. It’s amazing. I never knew how easy it was to hack Kik!